Fila Luxembourg S.a.r.l. 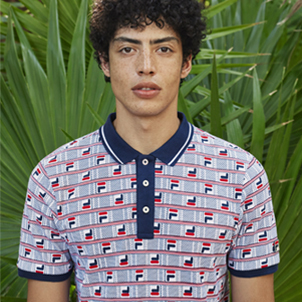 and its affiliates (collectively, “FILA”) are dedicated to ensuring that FILA-branded products are manufactured under conditions that reflect a commitment to safety and human rights in the workplace. FILA supports internationally recognized norms for the safety and well being of all workers involved in the manufacture of FILA products. FILA believes that it is incumbent upon itself to ensure that all of its vendors and suppliers, and those of its licensees, share FILA’s commitment to abiding by applicable laws, protecting the rights of individuals, ensuring equal opportunity, and ensuring a safe work environment. 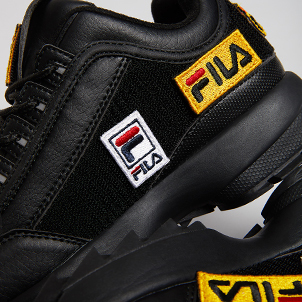 In addition, FILA is dedicated to establishing a secure supply chain. 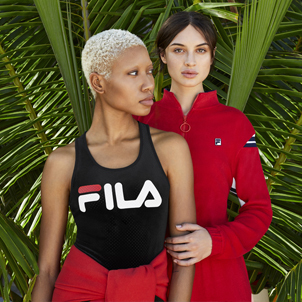 To this end, FILA requires its licensees, vendors and suppliers, and the vendors and suppliers of its licensees, to assure compliance with security measures dictated by FILA. FILA’s Code of Business Conduct, as stated below, sets forth the minimum standards that all vendors and suppliers must satisfy in order to do business with FILA or with any of its licensees. Vendors and suppliers must meet or exceed the standards set by applicable laws and regulations relating to worker rights and working conditions including, but not limited to, those concerning age, hours of work, minimum wage, overtime, timely payment of wages provisions for vacation and holidays, and required retirement benefits. If an industry standard is higher than the legal minimum, FILA expects its vendors and suppliers to apply the industry standard in lieu of the inferior law or regulation. Furthermore, all vendors and suppliers must comply with all applicable laws and regulations relating to the exportation and importation of merchandise including, but not limited to, country of origin, labeling, customs classifications, valuation, counterfeiting trademarks and shipment of merchandise. Vendors and suppliers may not employ forced labor. Vendors and suppliers may not utilize imprisoned, indentured, bonded or any other form of compulsory labor including, but not limited to, labor that is imposed as a means of political coercion or as a punishment for political or religious views. If a vendor or supplier engages foreign contract workers, the vendor or supplier shall pay all agency fees and not make any worker remain beyond the period of his or her engagement against his or her will. Vendors and suppliers may not employ child labor. No person shall be employed at an age younger than the applicable legal minimum age, or age fifteen (15), whichever is greater. Each vendor and supplier will maintain accurate documentation that confirms each worker’s birth date. Vendors and suppliers must treat all workers with respect and dignity and provide them with a safe and healthy working environment. All workplaces shall be free of hazardous conditions, have clearly marked exits for events of emergency, be sanitary, and provide adequate ventilation, temperature control, lighting and safety equipment. Vendors or suppliers that provide residential accommodations for workers must ensure that such accommodations are clean and safe. not on the basis of personal characteristics or beliefs. interfere with any worker’s non-violent exercise of such right. regulations and FILA’s environmental principles. worldwide customs-accredited program administered by a foreign customs authority. private interview of workers without prior notice.